We're Paula & Jeff Parker, the owners of “Phuket Travel Secrets”. The information you share with us is as important to us, as it is to you. We have taken steps under the General Data Protection Regulation to ensure any information you give to us is secure, only seen by people who need to see it, and within your control. If you’re still unsure, you’ll be able to contact us. Phuket-Travel-Secrets.com is dedicated to protecting your data and privacy. We recognize that your data is important. This document outlines the types of personal information we receive and collect when you use Phuket-Travel-Secrets.com, as well as some of the steps we take to safeguard information. Phuket-Travel-Secrets.com strives to maintain the highest standards of decency, fairness and integrity in all our operations. Likewise, we are dedicated to protecting our customers' and online visitors' privacy on our website. A cookie is a string of information that Phuket-Travel-Secrets.com stores on your computer, which your browser provides to Phuket-Travel-Secrets.com each time you return to the site. Phuket-Travel-Secrets.com uses Google Analytics to analyse the use of this website. Phuket-Travel-Secrets.com uses information from Google Analytics to track the number of visits to the website, browsers and operating systems. No personal identifiable information is obtained from these cookies. We use the information that Google Analytics generates relating to our website to create reports about the use of the site.These reports allow us to update the site and improve your usage of it. If you want to, you can turn cookies off, buy disabling them in your browser. You can read more about this at About Cookies Website. We share this information with Google, but we do not provide them with any personally identifiable information for cookie or web beacon use, so they cannot personally identify you with that information from this website. You can read more about affiliates on our affiliate disclosure. If you choose to refuse Phuket-Travel-Secrets.com cookies, you may not be able to fully experience the interactive features of the site. Phuket-Travel-Secrets.com may collect personally identifiable information from you in a variety of ways, including, but not limited to, when you visit our site, register on our site, or fill out a form, and in connection with other activities, services, features or resources we make available on our site. If you use our “Contact Form”, we will ask for your name and email address, and for information relevant to the purpose of the form. If you request to be notified about "Comments" on any content you submit to us, or request to be notified when others submit content, we will require your first name and email address. Phuket-Travel-Secrets.com has partnered with reputable business partners in Thailand. For transparency you will know when we recommend these businesses as there will be an "Inquiry Form" to fill out. If you request information in regards to their products or services using our inquiry forms, we will ask for your name, email address and for information relevant to your request. The information you enter in these forms is sent with your consent only to the business that you require the information from. We receive a referral commissions for products and services purchased through our referral partners. A list of our referral partners can be found in our section about Data Storage. We never collect you're personally identifiable information without your consent. This site also uses "Facebook Commenting". Facebook stores all your comments and may show them on your timeline, depending on your Facebook settings. If you provide us with any personal information we will only use that information for the purpose in which you shared it. We will never send you information that you haven't requested. Phuket-Travel-Secrets.com links to other websites that may be of interest to you. However once you have left our site, we do not have any control over these websites. This site uses the Google Maps, map service via an API.Google Maps is operated by Google Inc.
To use Google Maps, it is necessary to save your IP address. This information is generally transmitted to a Google server in the USA and stored there. Phuket-Travel-Secrets.com has no influence on this data transfer. The use of Google Maps is in the interest of making our website appealing and to facilitate the location of places specified by us on our website. Phuket-Travel-Secrets.com lets you share content with your friends and followers on various platforms. Below are links to the privacy policies of those platforms. Our website includes plugins for Facebook. Our website also features Google+ & YouTube. For further information about your privacy, please visit Google+ and YouTube. 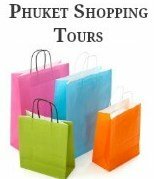 If we sell Phuket-Travel-Secrets.com, the information we have obtained from you through your voluntary participation in our site may transfer to the new owner as a part of the sale so that the service provided to you may continue. In that event, you will receive notice through our website of that change in control and practices, and we will make reasonable efforts to ensure that the purchaser honour's any opt-out requests you might make. Some information is collected by third-party services; if you request information from any of our referral partners via inquiry forms the information that you consent to give them is also collected by those third-party providers. If you have submitted personally identifiable information through our website and would like to download and review that information click on this link. If you think your personal information is not being used properly and you want to make a complaint, you should firstly contact us and ask us to put it right, explaining the problem as clearly as you can. If you’re not satisfied with our response, you have the right to lodge a formal complaint and should contact the “Office of the Australian Information Commissioner” at https://www.oaic.gov.au/ as the use of our website and the sale of any products or services are governed by Australian law. 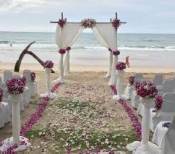 Phuket-Travel-Secrets.com reserves the right to make changes in this policy.